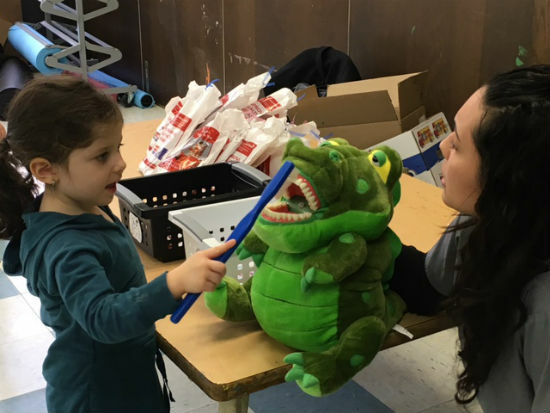 In early March, our hygienist Crystal and Murphy Molargator traveled just down the road to the Southern Connecticut Hebrew Academy in Orange to visit the preschool. 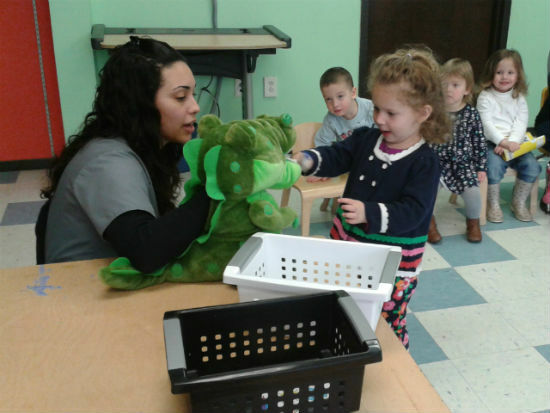 With so many students from the school already being patients in our dental practice, we saw many familiar faces! 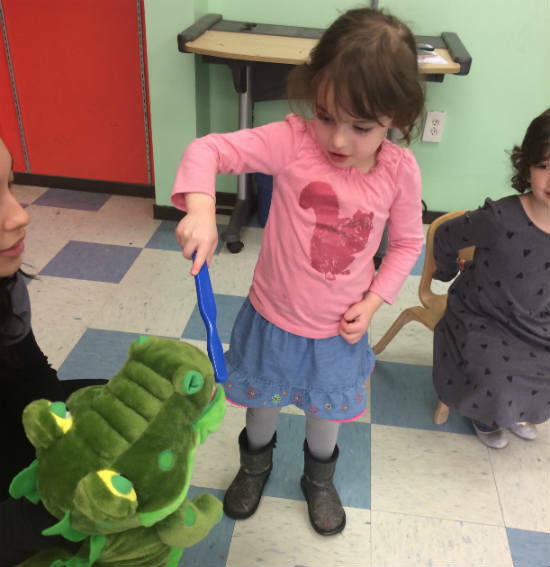 This preschooler had lots of fun brushing Murphy’s teeth. Murphy has 32 teeth and can open REALLY wide. This little one took her brushing very seriously. We spoke to several different groups and all the kids had a great time. And Murphy left with shiny white teeth! We are always accepting patients of all ages. Visit this page to request an appointment or call us at (203) 799 – 2929.